Who would’ve ever thought that a Windows based supercomputer will ever go pass the Petaflop barrier? Yes, as astonishing as it may sound but according to Microsoft, a supercomputer based on Windows crossed the petaflop barrier but fell short of a supercomputer with the same hardware configuration running Linux. A petaflop is a measure of a computer’s processing speed and can be expressed as a thousand trillion floating point operations per second. FLOPS are floating-point operations per second. Floating-point is considered to be a method of encoding real numbers within the limits of finite precision available on computers. If all this technical gibberish went over your head, in simple layman’s terms, it means: fast, very fast! 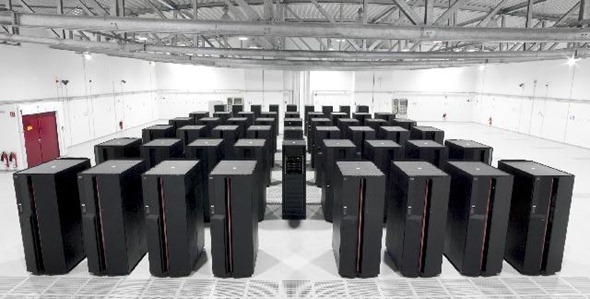 The supercomputer which was used to cross the petaflop barrier is the Tsubame 2.0. Although it’s sole OS is Linux, but it also supports running Windows HPC Server. If you’re doing a Windows HPC story, why do you use a picture of a datacenter full of IBM POWER Systems ?